IP Checkups works with the world’s largest companies and greatest innovators to help manage their own patent portfolios, as well as those of their competitors. Our team of in-house patent specialists each possess an extensive working knowledge of the industries we serve. In the early 1990s, Irving Rappaport realized that the availability worldwide patent information in electronic format would revolutionize the field of intellectual property management. This prompted Irving to start Aurigin systems with a mission to convert the world’s patent information from paper into electronic format, and to create a patent analytics workbench. The massive electronic database included millions of patent documents and became one of the first “big data” experiments as new insights into corporate behavior could be derived from the data for the benefit of legal, marketing, R&D and business executives. The availability of this information created new ways to look at how companies handled IP assets in the context of corporate strategy. This paved the way for the field of Intellectual Asset Management. IP Checkups established a proprietary process to extract maximum value from patent information, increase organizational knowledge and efficiency, and help strengthen companies’ return on their technology investment. In 2007 IP Checkups developed PatentCAM software, an easy to use, centralized repository for R&D and legal teams to manage competitive patent information. The software furthers our mission to increase innovation efficiencies and reduce litigation risk. How patent monitoring created the billion dollar drug. Matthew Rappaport founded IP Checkups in 2004 to help companies align their patent strategy with their business objectives. Matthew developed a proprietary methodology for assessing the relationships between competitive patent portfolios. Then, he spearheaded the development of PatentCAM software to categorize, archive, & monitor patent information. He has managed hundreds of patent landscape analyses, market research, IP strategy, and valuation projects for large and small corporate clients, start-ups and investors. Matthew serves as the industry liaison to the Fung Institute for Engineering Leadership at the University of California, Berkeley. Since 2010, Matthew has been selected as a member of the IAM Strategy 300, a list of the world’s leading IP strategists. 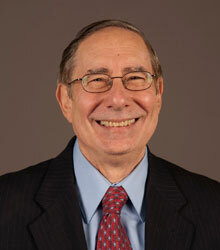 Irving Rappaport has been a licensed patent attorney for over 40 years. He headed the IP departments of five Fortune 500 companies – Apple, Medtronic, National Semiconductor, Data General and Bally Manufacturing – as well as founding 2 patent analytics startups. In 1992, Irving co-founded SmartPatents, which later became Aurigin Systems, a pioneer in the field legal software, for patent landscaping and analytics. In 2004, Irv and Matthew co-founded IP Checkups. 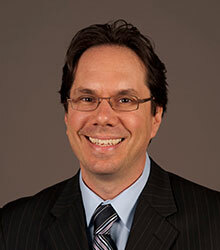 Irving serves as an expert witness in IP-related litigation, representing plaintiffs in the i4i v. Microsoft; Wi-LAN v. Acer et al, v. RIM et al, v. Westech et al; and Cornell University v. HP cases. Since 2009, Irving has been selected as a member of the IAM Strategy 300, a list of the world’s leading IP strategists. Mark Garner joined IP Checkups in 2005 to manage IP Checkups’ technology infrastructure, including software tools and databases containing millions of patents and publications. Mark developed the underlying software, functionality, and architecture of IPC’s PatentCAM and PatentEdge database solutions. Mark’s deep understanding of patent information along with his mastery of software development and user interface technologies have enabled him to enhance the quality and comprehensiveness of IP Checkups’ software solutions. Prior to joining IP Checkups in 2006, Mark spent five years as a professional audio and recording engineer for headlining acts throughout the country. He earned a B.S. in Computer Science from the University of Oklahoma. Steve Krawczyk joined IPC in 2013. He contributes his experience in R&D, commercialization and IP analytics to provide clients with an understanding of the competitive advantages manifested by their IP portfolios. Steve started at Gilead Sciences in 1989 as a medicinal chemist and in 2000 moved to Gilead’s IP department as a patent searcher and analyst. In 2006, he became the head of Patent Informatics, managing the patent search group and providing FTO, landscape searches, and design around assessments in support of M&A and partnering diligence. Steve’s work at Gilead resulted in over 40 peer reviewed publications, patents and presentations. He earned his PhD in Medicinal Chemistry from the University of Michigan. Later he obtained an MBA through Golden Gate University and a JD from Santa Clara University. Prior to joining IP Checkups in 2017, Mark Bosse was Vice President, Intellectual Property for Gilead Sciences, Inc. In this role, Mr. Bosse managed all aspects of intellectual property practice at Gilead. Mr. Bosse joined Gilead in 1993, and was promoted to Vice President in 2003, where he was responsible for intellectual property and competitive Intelligence services. In addition, working in partnership with Gilead’s General Counsel, Mr. Bosse worked to open drug access for Gilead’s HIV/AIDS drugs in the least developed world. Prior to joining Gilead, Mr. Bosse was an attorney at Syntex Corporation. In this role, Mr. Bosse’s practice focus was patent preparation and prosecution for the Syva Diagnostics business unit. Mr. Bosse received his J.D. from Golden Gate University Law School, his Ph.D. in Organic Chemistry from University of California at Berkeley and his bachelor’s degree from Lewis and Clark College. Bruce Resnick joined IP Checkups in 2013. Bruce is an intellectual asset management expert and provides IP strategy and patent search expertise for projects related to chemistry, materials, and oil/gas. He spent over 30 years working as a research manager (Kodak and International Paper) and an intellectual asset manager (Cargill). During that time Bruce and his team helped bring numerous concepts to commercialization. He and his colleagues won several awards for best product of the year. Bruce has been a registered patent agent since 1994 and has prepared patent applications for a variety of companies and inventors. He did post-doctoral research at the University of Illinois-Champaign Urbana. Then,he earned a doctorate in chemistry from NYU. Bruce holds 17 patents in diverse areas including food science and silver halide photographic films. Jesse Hooper joined IP Checkups in 2014 as a patent searcher and project manager. He specializes in patent and non-patent literature searching, patent analytics, and landscaping in the electrical, mechanical, and software engineering areas. 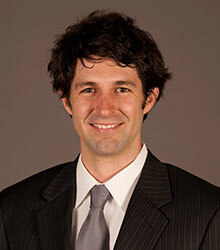 Jesse started in the field of patent analytics in 2009 as a patent searcher and analyst. He is an expert on a variety of commercially available patent search and analytics tools. Jesse has performed hundreds of freedom-to-operate, validity, and patentability searches.And, he has managed projects related to technology mapping and competitive analysis. Jesse’s technical experience spans a variety of areas including wireless, networking, internet-of-things, autonomous vehicles, 3D printing, biomedical devices, batteries, data storage, among others. Jesse earned a BS in Electrical Engineering from George Mason University in 2008. Kirk Haselton is a physicist with general technology interests & experience. He assists clients in technology evaluation, patent and portfolio analysis, acquisitions and IP operations. He also focuses on technology scouting, invention analysis, patent prosecution and portfolio management. After spending several years working in industrial R&D with Siemens Mobile and Nokia Siemens Networks, in 2008 Kirk began working exclusively with inventions, technology development and IP as a licensing manager with ipal, a subsidiary of the Investment Bank of Berlin. In 2013, Kirk started Haselton IP, based in Berlin, Germany. Kirk holds a Bachelor of Science with Honors degree in Applied Physics from the California Institute of Technology and M.Sc. & Ph.D. degrees in Applied Physics from Cornell University. Kirk is a Hertz Fellow and the recipient of a NASA Fellowship, both in support of his Ph.D. research. Sal is a patent research and analytics professional specializing in the biological sciences. She spent nearly 10 years working as a patent and scientific analyst for Novartis Vaccines & Diagnostics. Sal has excellent working knowledge of patent practice, both domestic and foreign, and has supported both prosecution and litigation functions. Sal earned her Ph.D. in Medical Sciences at the prestigious Karolinska Institute in Stockholm Sweden. From 1993-1996 Sal was a Postdoctoral Fellow at the Fred Hutchinson Cancer Research Center and from 1997-2004, Sal worked as a Postdoctoral Fellow at the Institute for Neuroscience at the University of Oregon. Sal has research experience in the fields of virology, cancer biology, neuroscience, cellular developmental biology, microbiology, vaccines and diagnostics. She is fluent in Swedish and supports the Save the Children foundation, the Red Cross, the Southern Poverty Law Center, and the Yolo County Food Bank among others. IP Checkups has provided consulting services and software subscriptions to a variety of companies, investors, research institutions and law firms since 2004. PatentCAM supports Big Pharma Co’s successful launch of multi-billion dollar drug. In an effort to develop best-in-class new chemical entities, one of the world’s largest biopharma companies licensed the PatentCAM™ software for the R&D team to track and monitor competitive patent information in real time. With patent expirations related to its franchise products on the horizon, the company needed to produce a new blockbuster drug in order to keep its share price from dropping. Managing thousands of patents related to diverse targets and mechanisms of action while monitoring newly published patents using traditional patent search tools or Microsoft Excel was not a realistic solution. The company licensed PatentCAM, a reliable software solution for managing, reviewing, and monitoring competitive patent information across a variety of categories. First, IP Checkups identified, reviewed and summarized pertinent information for thousands of historical patents into relevant technology categories. Next, IP Checkups delivered the information in PatentCAM for the entire R&D team. This provided a centralized repository to perform ongoing review, sorting, summarizing and commenting on relevant patents. Finally, PatentCAM was updated twice per week as new patents published in worldwide authorities enabling the R&D team to stay on top of the most current competitor innovations. IPC’s customer released its first approved product related to the project 5 years after deployment of PatentCAM. Several more product releases are making their way through clinical trials now. The R&D team has expanded three-fold and the share price of the company has increased exponentially over the past eight years.